Each of the company's brands have their own vision for the future. 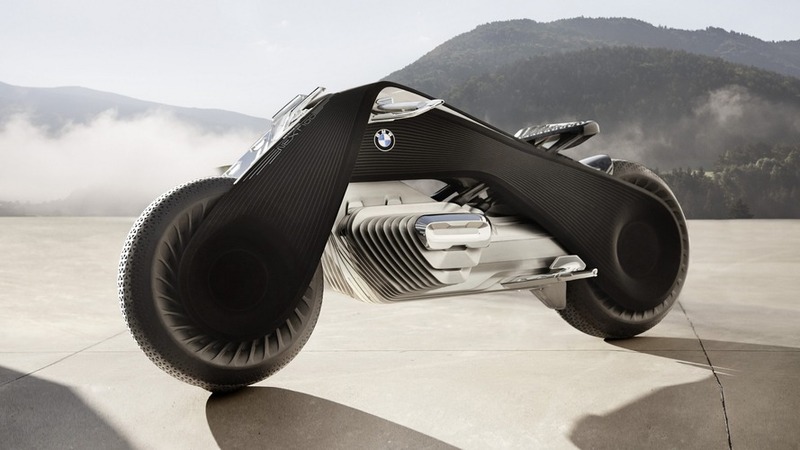 Together, they imagine a high-tech century ahead for BMW. Over the course of 2016, BMW Group unveiled a quartet of concepts that looked forward to the brand’s next century in business. These Vision Next 100 models from BMW, Mini, Rolls-Royce, and BMW Motorrad are now meeting up in a short film highlighting the firm’s optimistic estimation about the future of the ultimate driving machine. 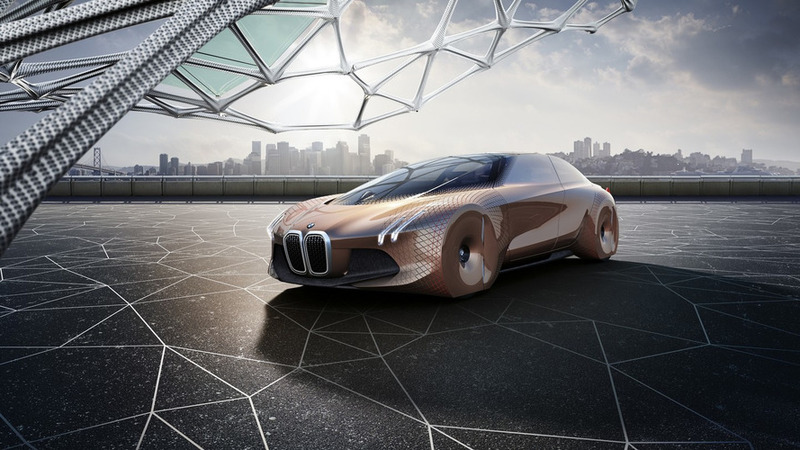 BMW foresees getting around in the future a highly connected utopia. People only have to drive when they actually want to. For the rest of the time, a vehicle comes and picks a person up automatically. If you get tired of concentrating while behind the wheel, the on-board computers can take over at a moment’s notice. Each one of BMW’s Vision Next 100 concepts focus on a slightly different aspect of future transportation. The motorcycle is arguably the winner of the group in terms of its aesthetics. The electric bike has a frame that looks like black V, and the powertrain has packaging that evokes the brand’s classic boxer twins. The cycle also has self-balancing feature, so there’s no need for a kickstand to ruin the beautiful lines. 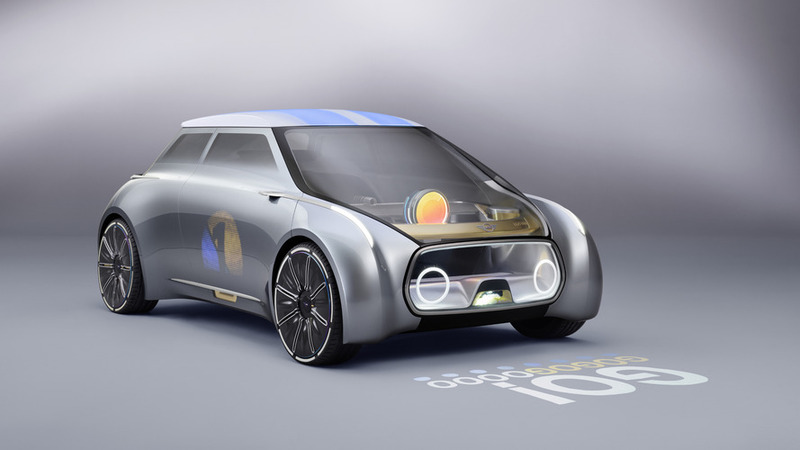 Mini’s version takes on the challenge of imagining what a shared car might look like. Rather than owning just one of them, people would pay for access as a ride-sharing vehicle for every example in the city. The cabin would customize itself to the user’s preferences upon picking up the person, and the system could even greet the client with a message on the ground. 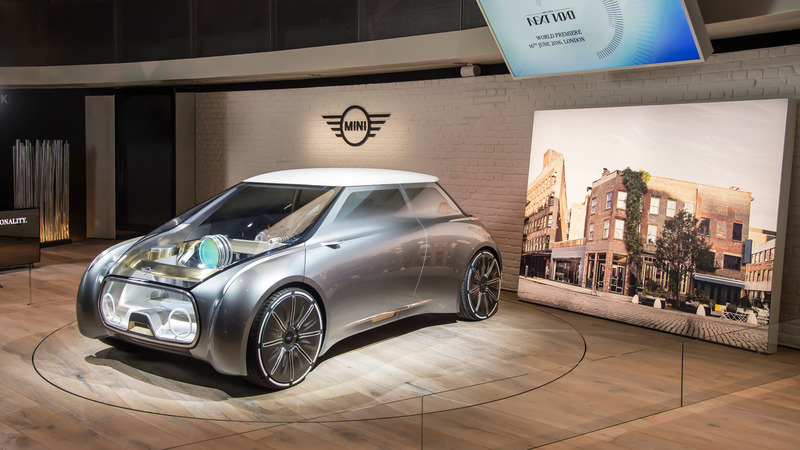 Where the Mini would likely appeal to younger city dwellers, BMW’s take on the future of motoring aims more at families. It’s slightly shorter than a modern 5 Series, and the electric powertrain creates ample room in the cabin. The driver can also activate an autonomous mode when the time comes for relaxing. 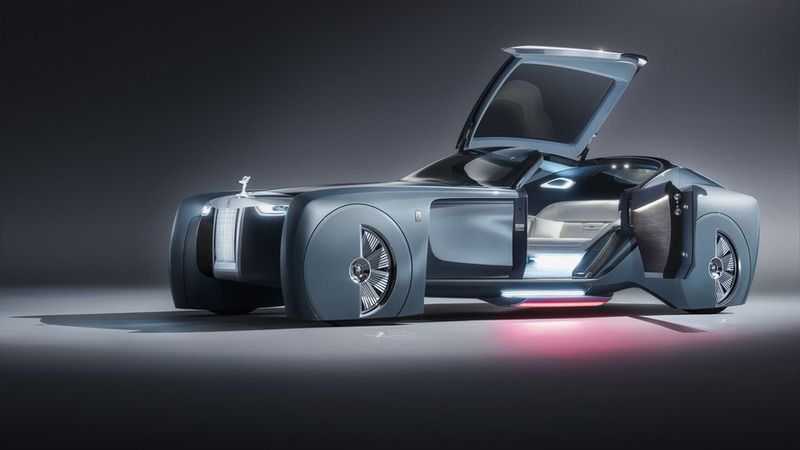 The Rolls-Royce Vision Next 100 goes even further by completely removing the steering wheel and pedals. The cabin is a massive lounging area, and a voice-controlled screen stretches across the area for the traditional dashboard. “A NEW ERA”: New BMW Group film launches online. The story of the BMW Group’s 100th-anniversary corporate campaign continues. A new era has begun. That is the key message of the new BMW film released today through all online channels. For the first time, the film “A NEW ERA” shows all four BMW Group Vision Vehicles side by side. One year after the company’s centenary, the world’s leading premium manufacturer of automobiles and motorcycles is revisiting its “THE NEXT 100 YEARS” campaign. Munich. A new era has begun. That is the key message of the new BMW film released today through all online channels (https://youtu.be/RMMQxoWN0R8). For the first time, the film “A NEW ERA” shows all four BMW Group Vision Vehicles side by side. One year after the company’s centenary, the world’s leading premium manufacturer of automobiles and motorcycles is revisiting its “THE NEXT 100 YEARS” campaign. “A NEW ERA” is the second film that showcases the BMW Group at a corporate level with its strong brands, BMW, MINI, Rolls-Royce and BMW Motorrad. Showing the four Vision Vehicles together for the first time, the online film “A NEW ERA” ties in with “THE NEXT 100 YEARS”, which was the motto of the BMW Group centenary last year. Future orientation and ground-breaking innovations have always formed the company’s identity – driven by an exceptional team of people who share and are inspired by a fascination for mobility. For the anniversary, a TV spot was created that for the first time portrayed the company’s active role in shaping the future, its willingness to learn and to change, its passion for technological innovation and responsibility towards society. The theme of the TV spot, “Together, we’re creating history. The history of tomorrow”, underlined this forward-looking approach. The online film “A NEW ERA” takes this message and refines it: In this film, the future has already begun. In answer to the previous TV spot, “A NEW ERA” opens up a view of the future and brings the previously described vision of the BMW Group to life. Mobility is the freedom always to be able to get where you want to go in life. The BMW, MINI, Rolls-Royce and BMW Motorrad Vision Vehicles symbolise this freedom by providing their own brand-specific interpretation of mobility. Central themes are autonomous driving, individuality, safety through innovation and the vehicle as an active companion and advisor in everyday situations. The film also highlights other areas of innovation, such as electro-mobility, shared mobility and connectivity. “A NEW ERA” will be widely integrated into the BMW Group’s digital communications, including its own platforms and social media channels. The film was shot on locations in Los Angeles, USA, and Bangkok, Thailand. Interone is the creative agency responsible. “A NEW ERA” will also be integrated into the BMW Group Future Exhibition in the BMW Welt Double Cone.